Content marketing is always changing, and hospitals’ content strategies must evolve in response. Here’s how hospital marketing teams can succeed in 2019. A new year always brings new trends in consumer habits and SEO, and healthcare is no exception to that rule. While many hospitals and healthcare providers may have content marketing strategies in place, those strategies are all but useless if they don’t adapt to new trends and innovations in content marketing. While social media was once a newcomer to the content marketing scene and SEO feels like old hat to some, hyper-personalized marketing, IoT expansion, and influencer marketing will certainly grow in 2019, and search algorithms will continue to favor high-quality and location-specific content. Fortunately, keeping up with new trends doesn’t require a total overhaul. Instead, a few minor tweaks every so often are enough to ensure that your content marketing strategy feels fresh – even years after it was first created. Look to these five tips to improve and refine your content marketing strategy in the new year. Before you can even think about a content revamp, it’s vital to make sure that the backbone of your content strategy is in place. Taking the time to document your content marketing plan will make it easier to revise and adjust that plan moving forward, and to see what is and isn’t working. If your content marketing strategy isn’t in writing, take some time at the end of the year to get it down on paper. While that will require an initial investment of time and energy, it will save you frustration moving forward and improve communication between the moving parts of your marketing team. 2. Think about distribution channels. Creating good content isn’t enough — you also need to get that content in front of the right audience using the right channels. As the end of the year approaches, take a look at which of your distribution channels have performed the best in 2018, and further explore your audience’s content consumption habits. Consider the journey that visitors usually take to reach your site, the devices they use to consume your content and that of competitors, the best time to reach your audience, the messaging that’s been most successful, and the ideal publishing and promotion frequency. Then, fine-tune your strategy based on these findings. 3. Create narrower content to promote service lines. Marketing used to be all about reaching as many people as possible, but new technology and an influx of competition has changed the game. Now, the goal of content marketing is to reach the right people at the perfect time. In medical marketing, that often means speaking to small audiences at specific points in their healthcare journeys. Creating content that focuses on a niche audience can be an incredibly effective means of improving engagement and conversion rates, as it’s often the case that other healthcare marketers aren’t speaking to patients with that specific condition or situation. Start with long-tail keyword research to determine how patients are searching for certain conditions or treatment options, then use those keywords and phrases to organize new content. 4. Focus on your best-performing channels. Your highest-performing channels should form the cornerstone of your content marketing strategy — and that’s okay. You don’t need to focus a lot of time and energy on every single distribution platform; that’s a poor use of resources. Using only the right channels at the right time will actually improve results over the course of your program. 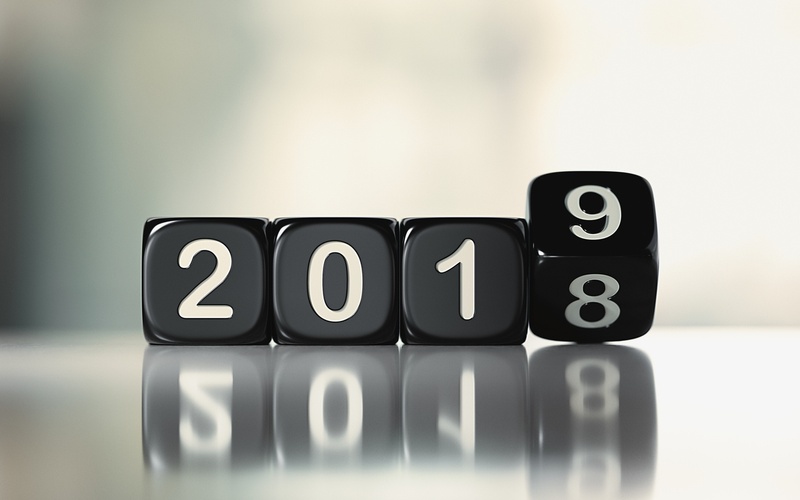 Rather than using Twitter, Facebook, or another marketing platform simply because “everyone else is using them,” begin 2019 with a more strategic approach. Funnel the vast majority of your marketing efforts into the channels where your audience engages with you the most, and then use your other channels as avenues for testing new ideas. 5. Allow time for experimentation. While you want to focus most of your time, energy, and budget on your highest-performing distribution channels, it’s always a good idea to allow some wiggle room for experimentation. Smart marketers are always two steps ahead of the competition, ready with their next groundbreaking content move or unconventional distribution tactic well before the crowd catches up. Further, experimentation allows you to rule out any channels or tactics that won’t work for you without investing too much time or money into them. Leaving room for experimentation means you’ll never have to take a big gamble that won’t pay off.